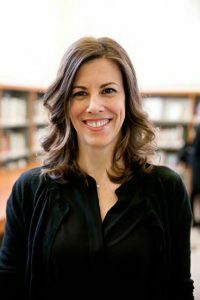 In January of this year, Victoria Johnson began a talk in the Library by taking us back in time to the shores of the New Jersey Palisades, where Alexander Hamilton fatally dueled with Aaron Burr in the year 1804. Johnson used the duel to set the stage for another interesting historical figure: Dr. David Hosack (1769–1835). A physician to both Burr and Hamilton, as it happened, Hosack was involved in the infamous duel, but his role in history goes beyond this one dramatic moment. Johnson shared her historical research to paint a passionate personal account of who Dr. David Hosack was, and to elaborate on his impact in the botanical and medical world of the early Republic. Hosack was the founder of the first medical botanical garden in the American Republic, known as the Elgin Botanic Garden. Erected on 5th Avenue between 47th and 51st street in the year 1801, it roughly spanned the area where Rockefeller Center stands today. 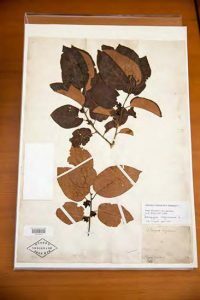 After a decade of effort, Hosack assembled a collection containing more than 1,500 species of plants, among which were materials collected from the Louisiana Purchase during the famous Lewis and Clark expedition. Plants from all over the world were represented at Hosack’s garden. Young medical students from Columbia College were able to study the garden’s resources for a hands-on understanding of the plants’ healing properties. Though short-lived, the research done at this garden would pave the way for famous 19th-century botanists such as Amos Eaton, John Torrey, and Asa Gray. 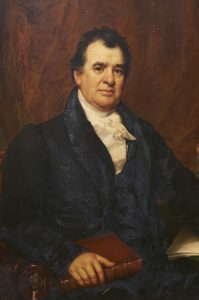 David Hosack (1769–1835), in a portrait by Samuel Waldo and William Jewett, 1831. NYBG, LuEsther T. Mertz Library, Art and Illustration Collection. When he was a young student himself, Hosack’s journeys through medical school landed him at the University of Edinburgh, Scotland, the center of modern medical education at the time. Here, realizing his lack of botanical knowledge, he focused on the botanical sciences as well as patient care. He also took up studies with William Curtis at the Brompton Botanic Garden in London and spent time at London’s Linnean Society, where he met the famous botanist Sir Joseph Banks. When Hosack returned to New York, his hometown, he was appointed professor of botany and pharmacy at Columbia College, and he soon saw a great need for a garden where he could take his medical students for fieldwork experience. He made a case to the college and later to the state of New York for funding but was denied multiple times. Eventually Hosack funded the garden himself. Ere long a famous physician and medical professor, as well as president of the New York Horticultural Society, Hosack would become recognized internationally for his work in medicine and botany. People from all over visited the Elgin Botanic Garden to see the beauty and variety Hosack had created. 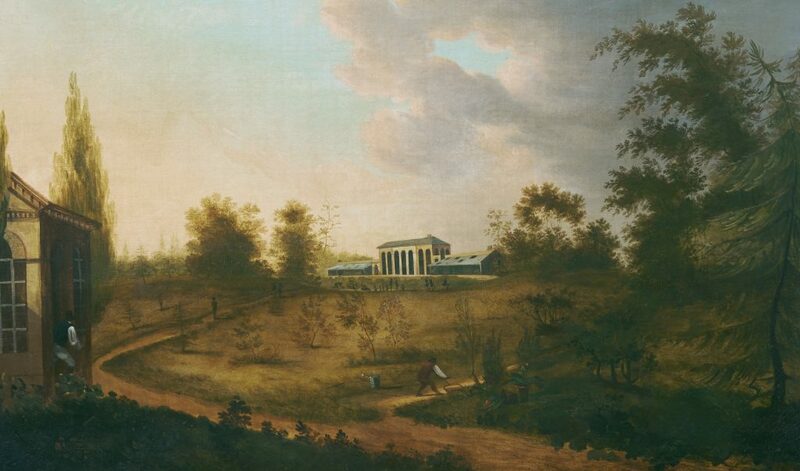 Despite the popularity and importance of the Elgin garden and many efforts to make it part of Columbia College’s academic program, Hosack was forced to sell the garden in 1810 due to the high cost of upkeep. Herbarium specimen of a plant that originally grew in the Elgin Botanic Garden. NYBG William and Lynda Steere Herbarium. After the sale of the property to the state of New York, which later gave it to Columbia College, the Elgin Botanic Garden fell into rapid decline, in spite of Hosack’s repeated appeals for the garden’s preservation and his efforts to procure financial support and recognition. Columbia College (later Columbia University) did not maintain the garden, preferring to hold on to the property solely for the purpose of its real estate value. While the Elgin garden disappeared, some of its original plant specimens survived. Housed today in their dried form in NYBG’s William and Lynda Steere Herbarium, they were displayed in the Mertz Library during Johnson’s remarkable presentation. Encouraged by Johnson’s lively lecture, the Herbarium staff found several other specimens of plants that grew in the Elgin Botanic Garden during the early 19th century. In addition to herbarium specimens, the LuEsther T. Mertz Library holds several of Hosack’s original publications, as well as two important artworks: a rare painting of the Elgin Botanic Garden itself and a portrait of Hosack by Samuel Waldo and William Jewett, dating to 1831. The Elgin Botanic Garden, ca. 1815. Standing on the spot of what today is Rockefeller Center, the grounds were divided into various compartments for the instruction of students of medical botany. NYBG Mertz Library, Art and Illustration Collection. Victoria Johnson conveyed Hosack’s passion and legacy through her detailed account of his dream of creating America’s first medical botanical garden. She gave Hosack the praise and recognition he has long since deserved for spearheading the development of the botanical medical sciences in New York. She is currently completing a book on David Hosack and his Elgin Botanic Garden, to be published by Bloomsbury in 2017.